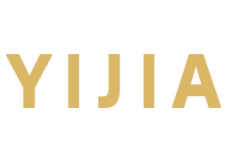 Yi Jia International Group, founded on 28 March, 2004, has over 30 subsidiaries around the world, with businesses spanning across over 50 countries and territories worldwide in a wide range of sectors, including cosmetics, jewellery, tourism, agricultural ecology and production, e-commerce, real estate, training and high-tech products, etc. Yi Jia International features three major product lines, namely, MAIONE for skin care, MIRIKEL for nutrition and Vii for daily necessities. All products are produced based on the principle of never hurting animals by adopting plants as raw materials instead. Yi Jia International is equipped with a professional team combining R&D, production, sales and service; it also possesses a Dalbergia odorifera tree plantation and production base that enjoys a unique geographical advantage. While striving to run business and help others realize their dreams, Yi Jia International has been devoted to paying back the society. The company has donated a combined amount of over US$10 million in a number of countries and regions including China, Singapore, Hong Kong, Taiwan, Malaysia, Canada, Australia, the US, Thailand, Indonesia and Macao.